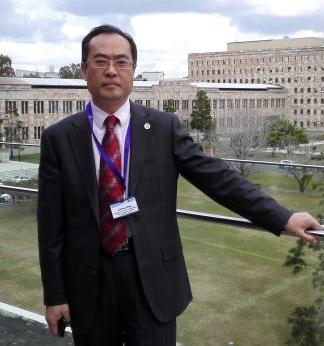 Junfeng ZHAO is PhD in forensic linguistics, Dean of School of Interpreting and Translation Studies (SITS), Guangdong University of Foreign Studies (GDUFS). He is the Secretary General of China National Committee for Translation and Interpreting Education, which is jointly appointed by the State Council Degrees Office, the Ministry of Human Resources and Social Security, and the Ministry of Education, P. R. China. He is a council member of the Translators’ Association of China (TAC), Deputy Director of Legal Translation Committee, TAC, Vice President and Director of the Legal Translation Committee, Translators’ Association of Guangdong Province, Vice-chair of the Guangzhou Science and Technology Translators’ Association and Director General of the China Association of Forensic Linguistics. Since 2008, he has taken charge of routine affairs of the China National Committee for MTI Education and MOE National Committee for Translation and Interpreting Education and many R&D programs at provincial and ministerial levels. He was Senior Visiting Scholar of the Business School of Gloucestershire University, the UK and visiting professor Nangyang Technological University, Singapore. He got a certificate for Training Program for senior executives held by University of Queensland, Austria. He received the honor of GDUFS Academic leaders and Excellent Teacher of Guangdong Province. His publications include the monograph On the information Processing and Its Linguistic Realizations of Legal Discourse, several textbooks on T & I and over 30 articles on major linguistic journals.